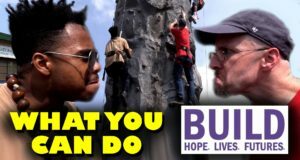 Build is an amazing charity, but will it be Doug or Malcolm who wins their wall climbing race? 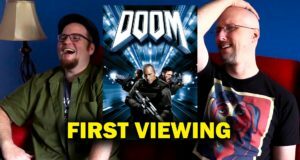 It started out good, but see how Doug and Rob slowly slip into rage with the botched film version of the classic game, Doom. 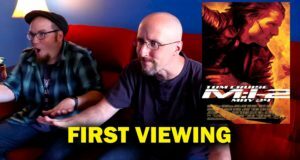 Doug and Rob take their first look at the anime OVA. It was a strange experience to say the least. 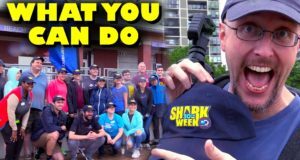 It's not everyday you have a charity that ties into Shark Week! The Alliance helps keep the Great Lakes as clean as it can be and you can play a big part in that! How many Tom Cruise jokes can Doug and Rob make? How high can you count up to? It's been years since they saw this movie, now Doug and Rob are going to see if it's as bad as they remember it. This is more of "Part 1" for this charity, but you can still see the incredible work this organization does for the children of our future! 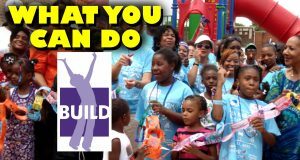 We take a look at the various ways you can help out some great people and organizations. 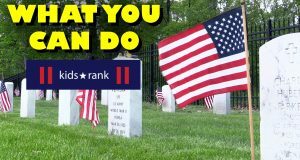 See the wonderful ways you can make a difference with Kids Rank. 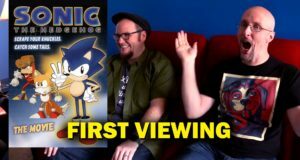 This was one Hell of a weird film, and Doug and Rob's reactions reflect that. 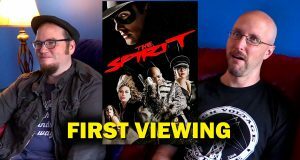 Take a look at their first thoughts of Frank Miller's madness, The Spirit. Such a dumb sequel to an already dumb film. 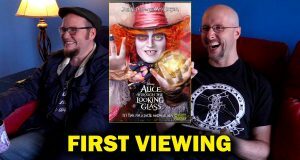 Did Doug and Rob have that reaction the first time they saw Alice: Through the Looking Glass.